The first Hamsterley box inspection of the year yielded one bat - a feisty male Soprano Pip. We found him in the box with the last remaining wasp nest left over from last year, which we left because it also had three Soprano Pips in it last November. ..but I've calmed down a bit now. 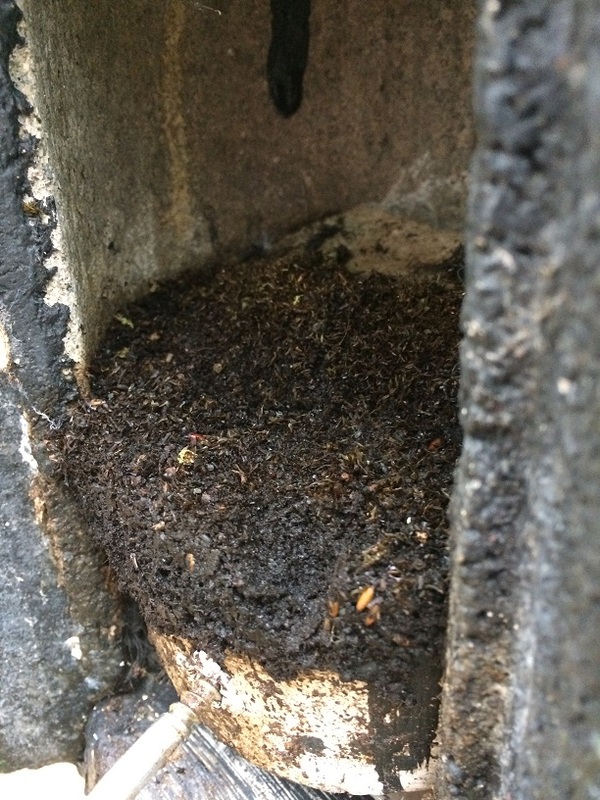 Speaking of wasps, several of the boxes contained queens. It'll be interesting to see if these are the ones that have wasp nests later in the year. We also found that several Schwegler boxes contained a thick (>1 inch) layer of frass with what look like Diptera larvae and pupae. 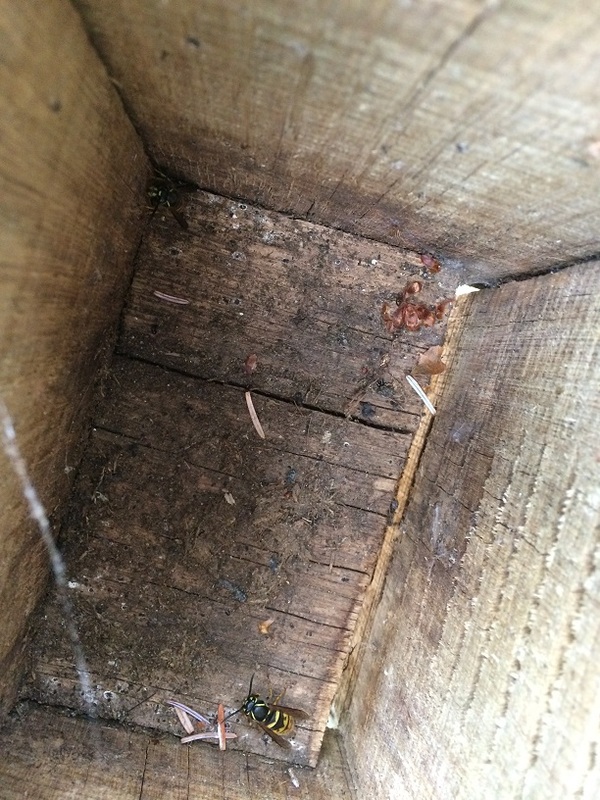 This must have accumulated since last November, as we always clean the boxes during inspections if no bats are present. 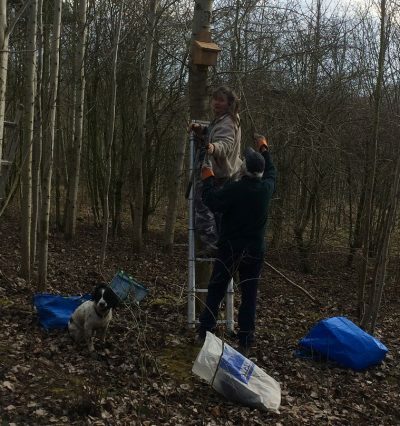 A glorious sunny day on Friday at Stillington - ideal conditions for putting up 20 bat boxes. 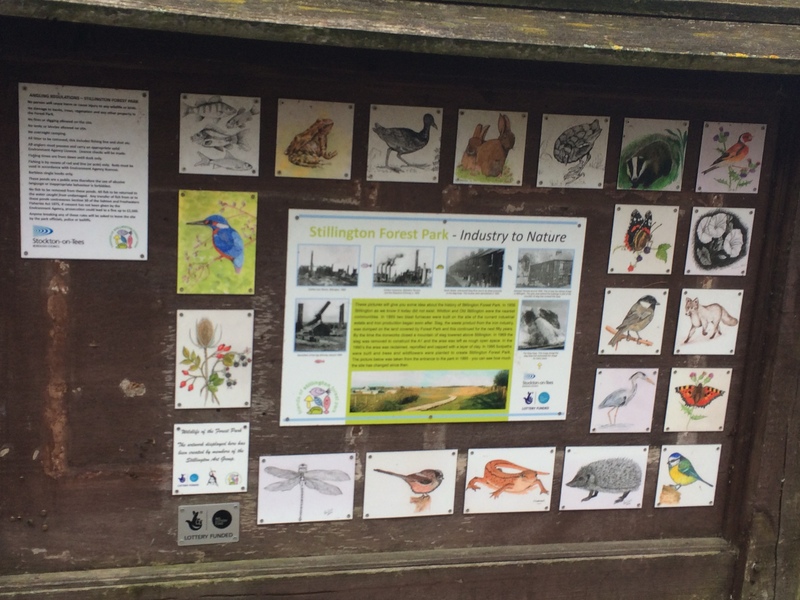 Thanks to Gwyn Dunn, John Lawson and Alan Curnow from the Friends of Stillington Forest Park, and to the John Muir Award Group from Abbey Hill School for turning out in force to help - especially with schlepping heavy wooden and concrete boxes all the way from the car park. We'll be back in September to see who's moved in. Yesterday Durham Bat Group held it's AGM at Lanchester Community Centre, with attendance by over a quarter of the membership. No less than 25 bat fans packed into a small back room - more than twice as many as last year - due in no small part to a great effort by the Club Trainer Clare Rawcliffe to encourage attendance. Well done Clare! We now have a club committee elected and are good to go for the upcoming bat season. 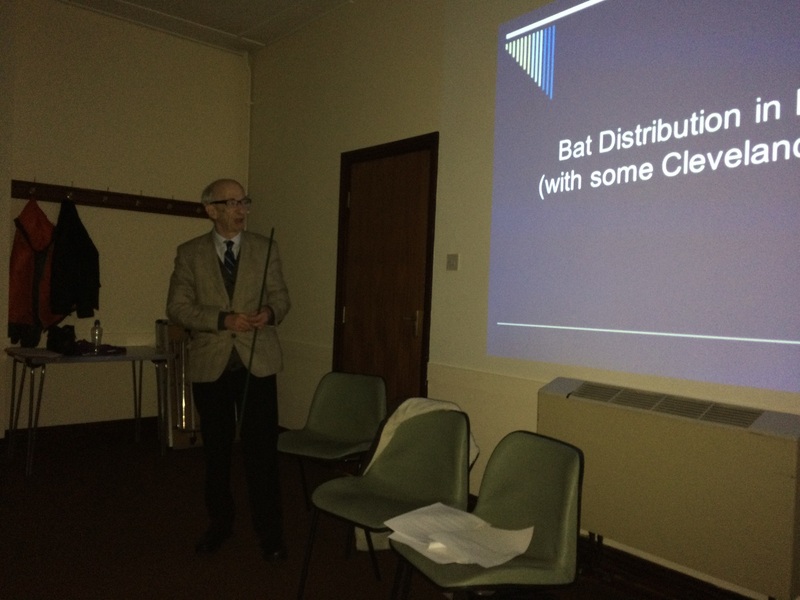 The meeting featured a talk by the Club Recorder David Sowerbutts on the Bats of Durham, which featured maps of the distribution of roosts, hibernations sites and other records of all the bat species of County Durham, according to the group's huge database of records. David is also a keen ornithologist, helping to run both the Durham Bird Club and the local RSPB group, and is the local rep for the British Trust for Ornithology, whose Jubilee Medal was awarded to David in 2016. 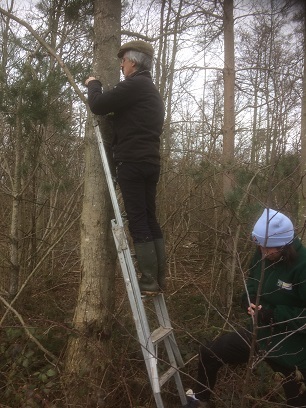 If that were not enough, he also organises the annual count of the nationally rare Dark Red Helleborine at a local site for the Durham Wildlife Trust. You can follow David on twitter @dls60843. 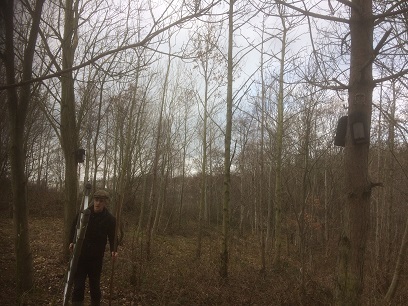 Durham Bat Group has been visiting Stillington Nature Reserve to scout out possible sites for bat boxes. 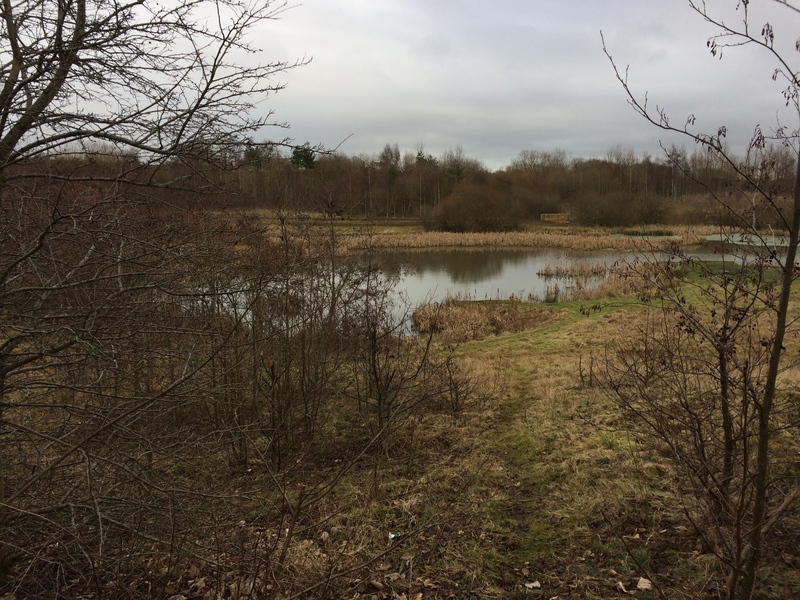 The reserve is on the site of a former steelworks and used to boast an impressive 100 ft slag heap. 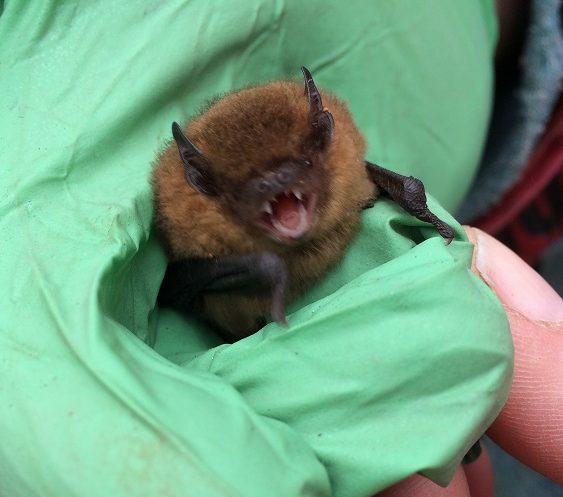 Woodland and wetland habitat was created in the 1990s, providing excellent foraging for bats, but because the trees are still immature, there are not many roosting opportunities. 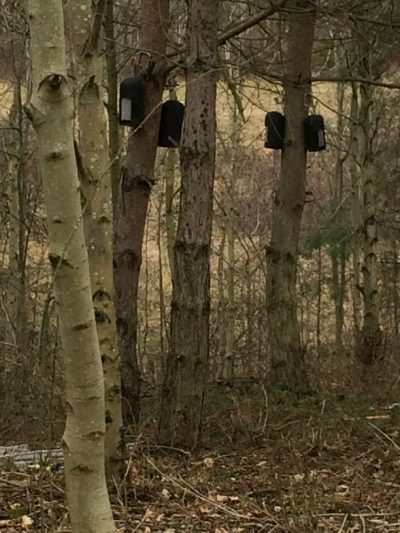 We hope to rectify that in due course and help add some bats to the reserve's interpretation board. 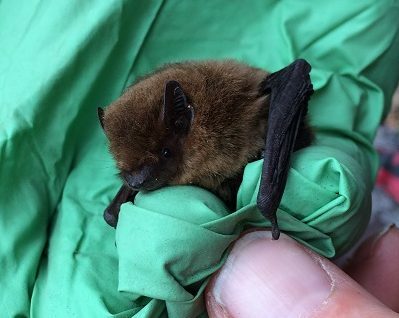 Durham Bat Group is celebrating one year as a registered charity, and we are looking forward to our AGM in Lanchester on 20th February when we will elect our new committee. Looking further ahead our club meeting in March will, as usual, be used to organise our support for the National Bat Helpline, where members respond to calls from the local area on a weekly rota. Reduced funding to Natural England means that big changes to the helpline are afoot, which might mean a lot more responsibility being passed down to our volunteers. 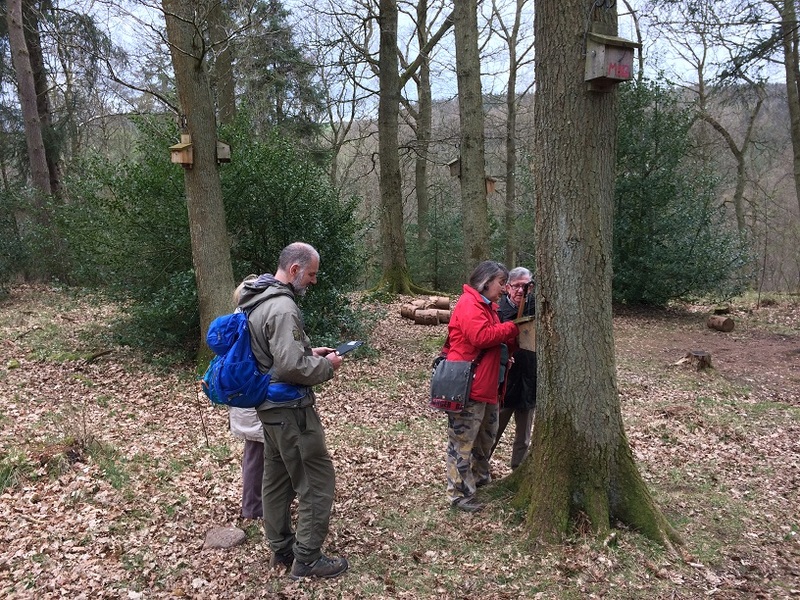 We will be blogging the results of this along with all our other activities, so tune in here regularly to keep up with what’s happening in the Durham Bat Group.